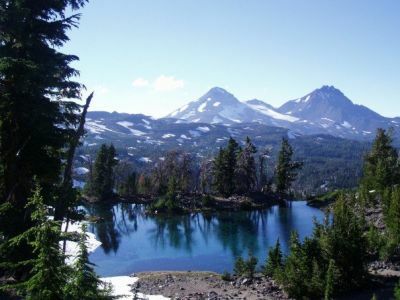 Thinking of coming to Bend on a last minute trip? We have GREAT last minute discounted rates starting at just $99 midweek that will give you one more reason to visit Central Oregon! With deeply discounted rates, even now during our popular ski season, there is no excuse NOT to sneak away to the Bend winter wonderland and adventure. ​Be our guests and be sure to mention this website deal when calling or emailing so we can pass on the savings! Each home offers nightly rates, multi-night discounts including weekly and monthly extended stay special rates, and other packages. Whether you are visiting for a couple's getaway, family trip, relocation to the area, medical reasons, or business travel, we have a plan that will suit your needs. Bend is very seasonal so rates can vary from month to month. The best thing about calling us to talk about your visit is that we can custom design a rate or package that best fits your needs. We want to help make your visit to Bend the best one yet. We'd love to host you in one of our unique homes, so don't wait! Call now for seasonal discounts or special promotions that we may be offering. Rates are reflective of the size of home, guest count, length of stay, and the season in which you book and do not include holidays. Bottom line: the longer you visit, the less expensive it gets! Call us today at 541-550-9947 to book your Bend vacation!